Assessment in the music classroom can be tricky. Many music teachers only see their students once a week--and sometimes even less--so fitting in quality curriculum, engaging songs and dances, games, books, and more needs to be balanced with assessing students' musical growth. 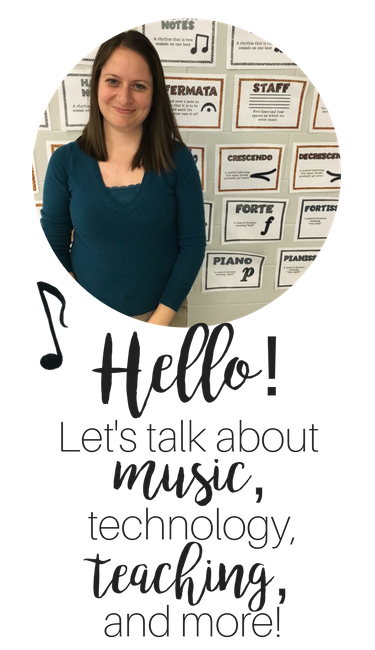 Today I'm writing about seven things to consider when assessing in the music classroom. Your first response might be, "Because I have to!" Many of us do have to report grades, but what if you didn't have to? Why would you do it? Your answer might be because it provides you with data about students, it helps improve your own teaching, it helps improve their learning, it helps you differentiate, etc. There are a lot of valid answers, but it's still valuable to think about it. Which assessments will I use? This will vary from year to year and marking period to marking period. Will you listen to students sing individually? Will you have them dictate rhythmic patterns with dry erase boards and markers? Will you have them compose their own piece with known solfa and rhythms? Whatever the answer is, it's helpful to plan ahead for those assessments so you can make sure your students are prepared. I write my assessments into my year plan (for more info on a year plan, see this video). Although I might change the assessments I've planned, it at least gives me a starting point. Which standards will I assess? If your standards are like my state standards, there are a lot of them! You may have heard of the term "power standards," which refers to the standards that you consider the most important. When deciding on assessments, it's helpful to start with power standards and branch out from there. Assessing power standards first doesn't mean that you won't teach or assess the other standards, it simply puts importance on the standards which are the most necessary for students to understand. How will I keep track of the data? In the past, I've used everything from printed out class lists (like the ones found in this set), to iDoceo, to Numbers. This year, my district is now using Powerteacher. Although it's taken a while to learn the program (as I have to learn it well enough to train the staff at my school), it's been a really awesome way to input grades, as it pushes all the grades to the report card. Such a time saver! I do sometimes use the Powerteacher app on my iPad to enter grades on the spot, but I've also loved using this small little notebook to write down observations, grades, notes, etc. So helpful for when I sit down to input grades! I put the teacher's name and the assessment on the top of each page, then write down whatever I need to. Once I record the data into Powerteacher, I put a diagonal line on the page so I know the information has been recorded. Will the assessment be formative or summative? 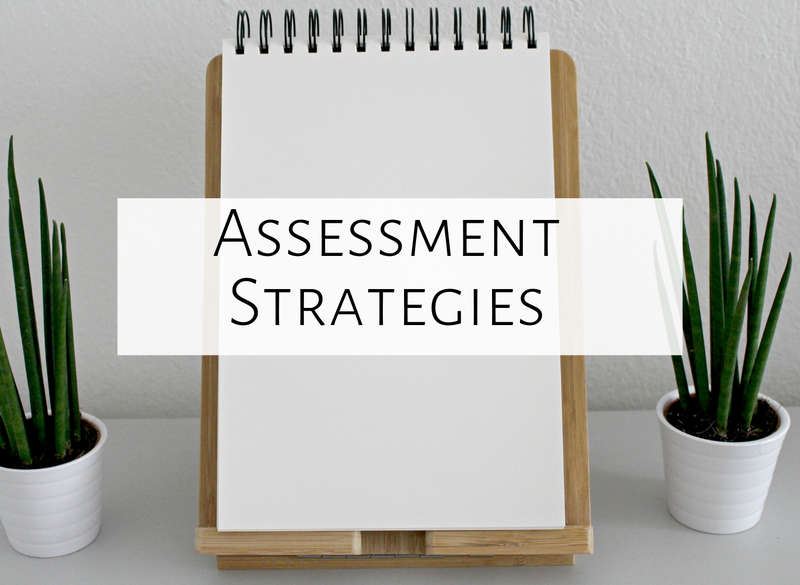 Some assessments will help guide your instruction and the students' understanding, while others will be used as a "final grade," or a grade to report to parents. Decide which assessments will be formative and which will be summative before assessing, and this will greatly help your thought process. You might adapt as you go--I've decided to change some summative assessments to formative once I realized that students weren't grasping the concept as well as I thought they were, so that I could provide more practice. How will I grade the assessment? Whether you use a plus, check, or minus system, or a detailed rubric, you'll want to consider how the assessment will be graded. I often use a 1-4 rubric, and either have the rubric attached to the lesson, or included in the lesson procedures. If you're looking for sample rubrics for the music room, check out this set. How will I help those students who are struggling? In past years, I simply helped kids by mostly targeting weaknesses in a whole group setting. However, over the past few years, I've really tried to focus on providing individual intervention whenever I can, typically during centers. 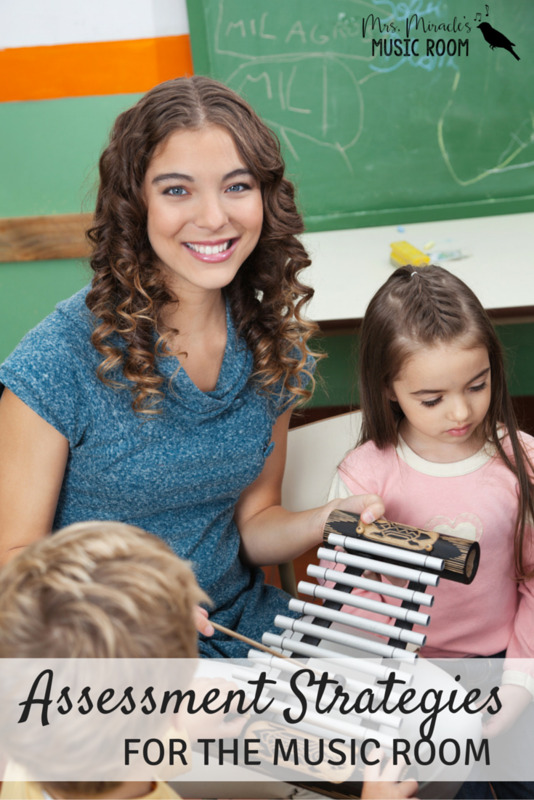 I wrote this blog post about providing intervention to students struggling with rhythm. I will soon be doing this with third graders struggling with reading re patterns on the staff, and am looking forward to the one-on-one time with students to help improve their understanding. What other issues do you consider when assessing students? Feel free to comment below, and thanks for reading!